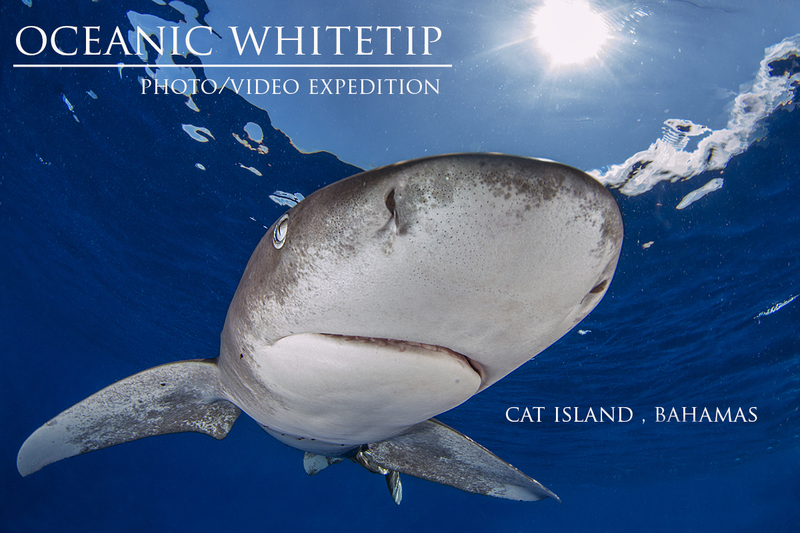 Join an expedition to Cat Island, Bahamas in search of the Oceanic Whitetip Shark. This elusive species was once one of the most numbers animals on the planet. Today, Cat Island offers the rare chance to photograph these animals. This productive area of the Bahamas also offers opportunities to dive with a variety of species, including Blue, Reef, Lemon, Dusky, and Great Hammerhead. Night dive with oceanics for advanced divers only.